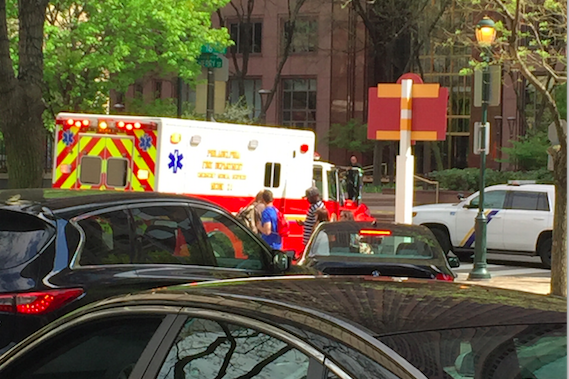 Police and emergency medical personnel are responding to an incident at a Center City high-rise after an eyewitness told PhillyVoice an individual jumped from the building. According to the eyewitness, who asked not to be identified, a person jumped from a balcony at the 28-floor Embassy Suites Hotel, located at 1776 Benjamin Franklin Parkway. The eyewitness said the young man jumped a few floors from the top of the hotel. According to a spokesperson reached by phone at the Embassy Suites Hotel, "there was a crisis, it's now under control, and Hilton will be putting out a statement."